Israeli occupation authorities on Tuesday notified owners of six houses in the village of Al Walaja, northwest of Bethlehem, with demolition orders. 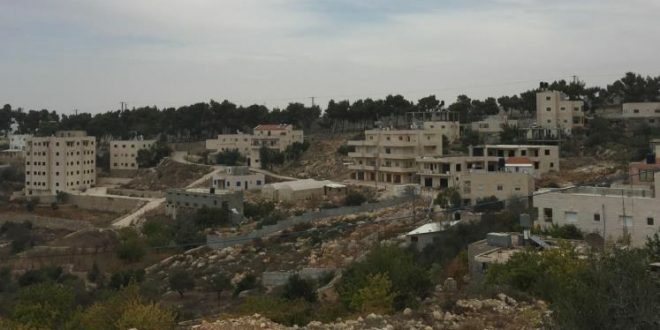 According to WAFA news agency, a large force of the occupation army accompanied by the staff of the so-called Jerusalem Municipality, broke into the area of ​​Ein Jweiza, north of the village, and handed over the owners of six houses demolition notices under the pretext of non-authorization. The Israeli authorities also handed over demolition notices to the Jerusalem Municipality for investigation on how the homes were built. It is noteworthy that the area of ​​Ein Jweiza, adjacent to Jerusalem, has been subjected to a significant escalation by the occupation against the population and property. 20 houses recieved orders of either demolition or stop of construction. Currently, there is a total of 80 cases of demolition and stop of construction.